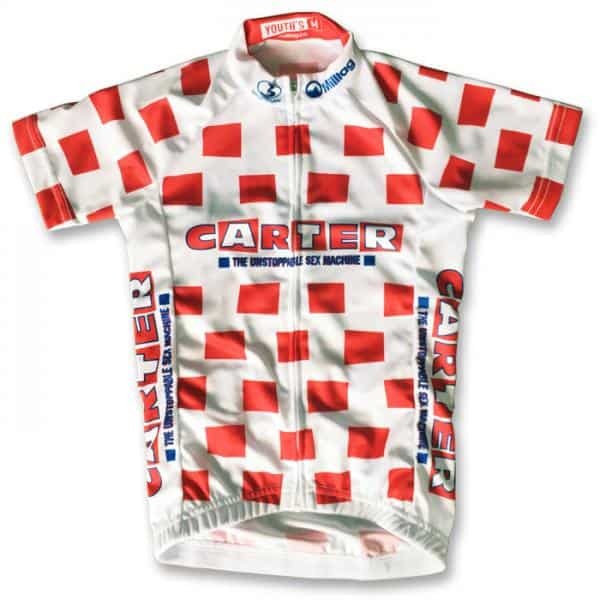 Following the first cycle jersey with Milltag for Carter USM (now sold out!) there is now a very limited edition for kids! Available in 5-6, 7-8 and 10-11 year old sizes they are hand-made performance cycling jersey manufactured in Europe using the best materials. It is constructed using hi-tech Coolplus fabric throughout. They have a full length hidden zip, silicone gripper on the bottom hem to keep it in place and a hidden security pocket in the three rear pockets.